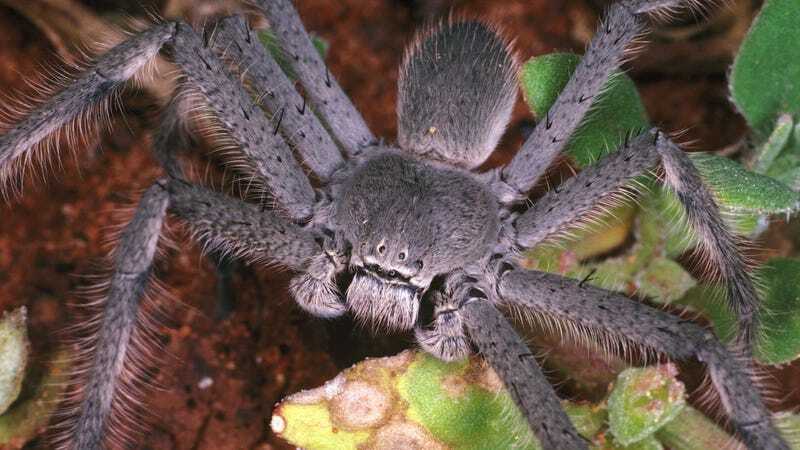 Marc Fennell is an Australian media personality whose post was greeted by a lot of horrified Twitter responses, as well as a writeup on The Daily Dot, which noted that the spider was definitely of the Huntsman variety. Just when that pic couldn’t get any scarier, we looked up the arachnid and discovered that the Huntsman doesn’t even make a web, but goes out and forages for food. The kids could have offered it a nice gecko or something for breakfast in an attempt to keep it from munching on them. And then we noticed the additional spider legs behind the wall. Props to those kids for not immediately running out of the house screaming, but this is what separates the brave Australians from the rest of the world.